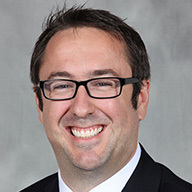 Kyle N. Acker, Au.D., is Director of Regional Sales for the south eastern U.S. at Starkey Hearing Technologies. Acker completed his B.S. in industrial hygiene and his M.S. and Au.D. in audiology at Purdue University in West Lafayette, Indiana. He began his clinical career in balance at a small private practice in Florida, before joining the Starkey Hearing Technologies team as a regional trainer and Manager of Education and Training. 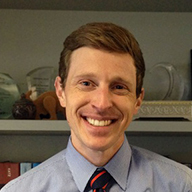 His clinical interests include amplification and counseling techniques, utilizing technology in the hearing aid delivery process and innovating training techniques to improve clinician understanding of new technology. Acker is also a passionate supporter of Starkey Hearing Foundation. Sarah Bricker joined the Starkey Hearing Technologies marketing and communications team as a Communications Specialist in March 2015. She was responsible for corporate social media, Innovations magazine, and other public relations and communication efforts. Bricker has had hearing loss since she was 13 and wears Halo Made for iPhone hearing aids. Prior to Starkey Hearing Technologies, Bricker handled digital content marketing, social media and online advertising needs for B2B and B2C clients in St. Louis, and worked as a freelance reporter for the St. Louis Business Journal and the St. Louis Rams. Bricker graduated from the University of Missouri-Columbia with a Bachelor of Arts in journalism. Sara Burdak, Au.D., joined Starkey Hearing Technologies as an audiologist on the Hearing Research and Technology team in May 1999. She is currently the Chief Audiology Officer and has presented at seminars worldwide on digital technology, advanced fitting strategies and product tutorials. Her clinical experience includes hearing aid dispensing, diagnostic testing and counseling. Burdak earned her B.A. in audiology and speech sciences from Michigan State University and a master's degree in audiology from Wayne State University. She recently received her Au.D. from the Arizona School of Health Sciences. Christina Callahan, Au.D., was a member of Starkey Hearing Technology’s Education & Training team. She was the northeast regional trainer based out of New York City. She earned her B.S. in Speech and Hearing Science from the State University of New York at Cortland and her Doctor of Audiology Degree from the Long Island Au.D. Consortium. Callahan’s clinical experience is primarily in diagnostic testing, hearing technology, and aural rehabilitation. Simon Carlile, Ph.D., was Starkey Hearing Technology's Senior Director of Research and helped lead Starkey Research in our quest for groundbreaking and innovative hearing solutions. Carlile has a BSc (Hons) and Ph.D. from the University of Sydney in auditory neuroscience. He completed his postdoctoral training at Oxford University where he was a Junior Research Fellow of Green College. He later established and became Head of the Auditory Neuroscience Laboratory at the University of Sydney. 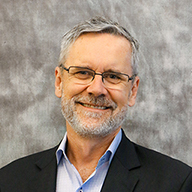 Carlile has also had senior management roles as Chief Information Officer at the University of Sydney and as the Chief Technology Officer for two start-up technology companies. Carlile has published more than 110 articles in peer-reviewed international journals, has a strong patent portfolio, edited a foundation volume on auditory virtual reality and is Associate Editor for Nature – Scientific Reports. Lawanda Chester, Au.D., joined the education and training division of Starkey Hearing Technologies in early 2016. She received her Au.D. 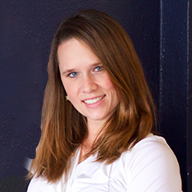 from the University of Florida and has practiced audiology in a variety of clinical settings for over 10 years. Chester began working in the hearing devices industry with a focus on education and training in 2009 and earned her trainer certification in 2012. James Curran, M.S., was one of the first dispensing audiologists in the industry. He opened his office in 1967 and then in 1970, joined a hearing aid manufacturer. Over the years he has authored many articles and textbook chapters, and has had extensive experience speaking and writing on industry topics. A member of many industry organizations and professional societies, Curran was elected to the board of the American Academy of Audiology and to the Executive Committee of the American Auditory Society. He also represented the industry in developing the initial FDA research protocols for establishing the efficacy of amplification. Today, Curran works in our Audiology Research department as a Hearing Aid Consultant. Andrea Hannan Dawkes, Au.D., joined the education and training division of Starkey Hearing Technologies in November 2010. Prior to joining Starkey Hearing Technologies, her career focused on providing clinical services in a variety of audiology settings, including work in the area of hearing aid research. 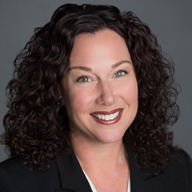 Hannan Dawke’s current responsibilities include assisting in the development of educational materials, leading training classes and assisting with course offerings through AudiologyOnline. She earned her Master of Arts in audiology from the University of Maryland at College Park and her Doctor of Audiology from the A.T. Still University of Health Sciences. Shari Eberts is a hearing health advocate, writer and avid Bikram yogi. She blogs at LivingWithHearingLoss.com and serves on the Board of Trustees of both Hearing Health Foundation and Hearing Loss Association of America. In 2015, she was named a HearStrong Champion for her work to change the stigma surrounding hearing loss. Eberts has an adult-onset genetic hearing loss and hopes that by sharing her story others will be able to live more peacefully with their own hearing loss. You can also find her on Facebook and Twitter. Amanda Edwards, Au.D., joined Starkey Hearing Technologies in July 2015 as an Education and Training Audiologist within the network department. Edwards is responsible for developing and presenting training materials to staff and fellow hearing professionals. Prior to joining Starkey Hearing Technologies, Edwards had a wide breadth of clinical, practical and academic experience in the fields of vestibular studies, diagnostic audiology, research and academic professorship. She earned her B.A. in speech and hearing disorders from Louisiana Tech University, an M.S. in audiology from Lamar University and an Au.D. from Arizona School of Health Sciences. Jason Galster, Ph.D., was the Senior Manager of Audiology Research for Starkey Hearing Technologies. He investigated clinical outcomes of modern hearing aid features while ensuring that product claims were accurate and backed by supporting evidence. Galster has held a clinical position as a pediatric audiologist and worked as a research audiologist on topics that include digital signal processing, physical room acoustics, and amplification in pediatric populations with hearing loss. Monique Hammond is a registered pharmacist. She is a public speaker and consults on industry-related hearing loss issues. Hammond tells her story and what she learned about hearing loss in her book: “What Did You Say? An Unexpected Journey into the World of Hearing loss.” Visit her website at moniquehammond.com. Ashley Hughes, Au.D., joined Starkey Hearing Technologies in 2015 as a Research Audiologist on the Clinical Research team. In her current role, Hughes conducts pilot, alpha, and beta trials on emerging technologies prior to market release. Hughes is actively involved in volunteering with and for the audiology profession at both a state and national level. Michele Hurley received an M.S. in Audiology from North Texas State University and Au.D. from Arizona School of Health Sciences. She has been practicing for 28 years in a variety of professional roles, spending the past 21 years with Starkey Hearing Technologies in the areas of education and technical services. Hurley also speaks on numerous occasions about hearing aid technology and patient care. 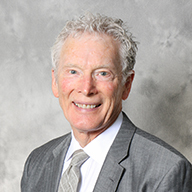 Jim Knutsen, M.A., began his career at the Portland V.A Medical Center’s National Auditory Research Laboratory in 1983. He was Director of Audiology and Hearing Aids at East Portland ENT Clinic from 1987 to 2000. 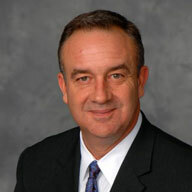 In 2000, he joined Starkey Hearing Technologies, and for 18 years took on numerous sales and management roles. In 2018, Knutsen moved to our Education and Training team. Knutsen has previously served on the Governors board for Hearing in Oregon, the Tri-state board of Governors (OR, WA, ID), and as President of the Oregon Hearing Society. 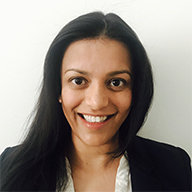 Sejal Kuvadia, Au.D., joined Starkey Hearing Technologies in August 2015 after practicing in private and retail settings. She completed her B.S. at Purdue University and her Au.D. at Rush University. While obtaining her degrees, Kuvadia completed research in the realms of cochlear implants, auditory perception, and audiological rehabilitation. Kuvadia's clinical experience includes time spent in hospital, VA, private practice, retail, and educational settings. Mary Leisses joined Starkey Hearing Technologies as Director of Education and Customer Service for Audibel in June 2006. Leisses has more than 25 years of experience in the hearing healthcare and bio-medical fields. She has worked in clinical practice for major hearing aid manufacturers and for bio-tech firms. Her personal areas of interest focus on aural rehabilitation and the successful coupling of technology with human lives. Leisses obtained her B.S. from the University of Wisconsin-Whitewater and her M.S. from the University of Wisconsin-Stevens Point. 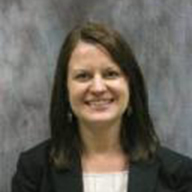 Sarah Lewandowski, Au.D., joined the education and training division of Starkey Hearing Technologies in April 2013. She received her bachelor’s degree in Speech Pathology and Audiology from Purdue University in 2007 and earned her Au.D. from the University of Illinois in 2011. Lewandowski previously worked in a Neurotology practice where she obtained extensive experience in diagnostic audiology evaluations, fitting hearing aids, surgical nerve monitoring and assessing balance disorders. 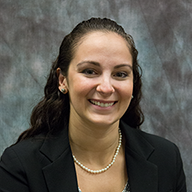 Stephanie Loccisano, Au.D., graduated with a B.S. in communicative disorders and sciences and Spanish language from the State University of New York at Geneseo and an Au.D. from the University at Buffalo. She was a member of the education and training team at Starkey Hearing Technologies from 2014 through 2018, where she led training classes, developed training materials and oversaw Starkey University’s Au.D. student program. 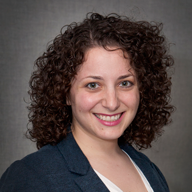 Loccisano completed her audiology residency at the New York Eye and Ear Infirmary. Beth McCormick, Au.D., joined the Starkey Hearing Technologies team as an outside sales executive in June 2006. Her clinical experience includes diagnostic testing and counseling, fitting hearing aids, and tinnitus management. She received her bachelor’s degree from Ohio University, her master’s in audiology from Michigan State University, and her Au.D. at Salus University. 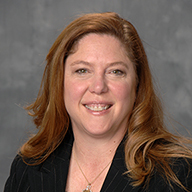 Carolyn Pinkerton, Au.D., worked on the Education and Training team at Starkey Hearing Technologies from 2012 to 2018. A graduate of Northeastern University’s Doctorate of Audiology Program, she completed residencies at several Ear, Nose and Throat offices in Massachusetts as well as the VA Hospital in Boston. 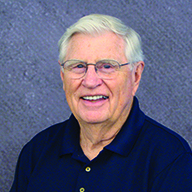 Pinkerton's clinical experience includes newborns to geriatric not only in comprehensive audiological examinations and fitting of appropriate hearing technology, but also in vestibular, central auditory processing and advanced evoked potential diagnostics. 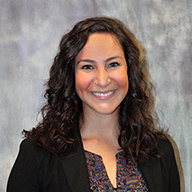 Lindsay Prusick, Au.D., was part of the education and audiology team at Starkey Hearing Technologies as an Educational and Training Audiologist until early 2015. 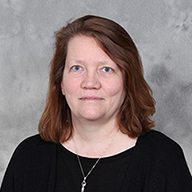 Formerly, Prusick worked as a Research Associate for the Speech Perception Laboratory at the University of Iowa and as a PRN Audiologist in the Department of Otolaryngology at the University of Iowa’s Hospitals and Clinics. She earned her B.A. from the University of Iowa and her Au.D. from Purdue University. Prusick is a member of the American Speech-Language-Hearing Association and a Fellow of the American Academy of Audiology. Dennis Van Vliet, Au.D., was the Senior Director of Professional Relations for Starkey Hearing Technologies Education and Audiology team. He has worked as an audiologist in medical, educational and private practice settings. Professional activities have included formation of the Independent Hearing Aid Fitting Forum, a volunteer study group that developed a comprehensive hearing aid fitting protocol for nonlinear hearing aids. He has been invited as a speaker in the U.S., Canada and Germany to present information on a variety of hearing aid technology topics and other professional issues. Van Vliet earned a B.S. from the University of California, Irvine, his master's in audiology from California State University and an Au.D. from Central Michigan University.